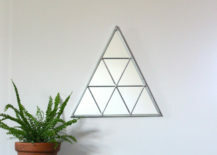 Below we see the Tall version of the mirror. 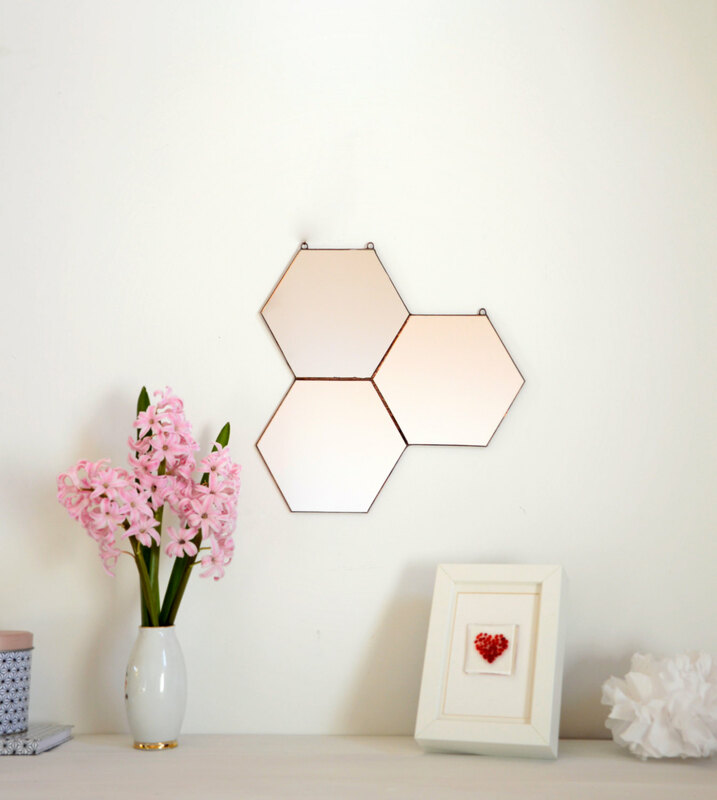 While both designs are currently sold out, we have high hopes that they will soon be restocked and ready to add style to your interior! 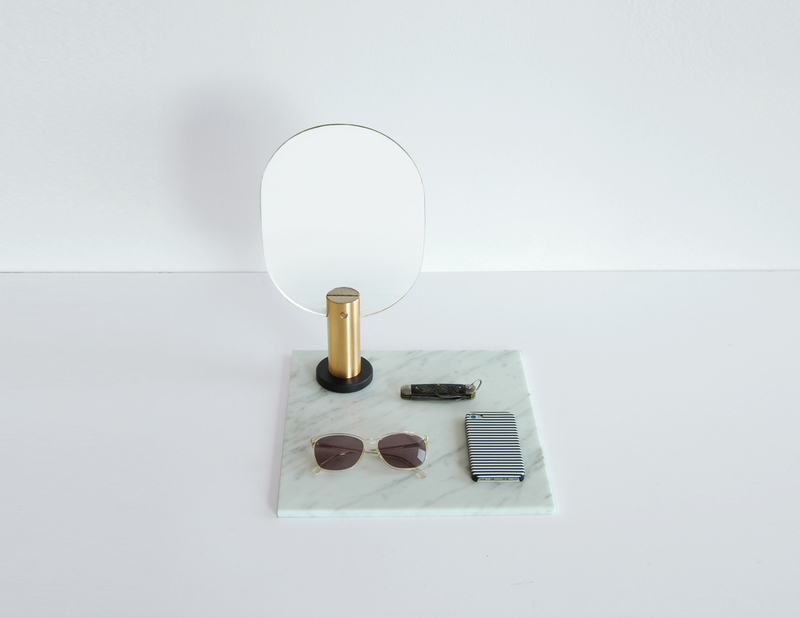 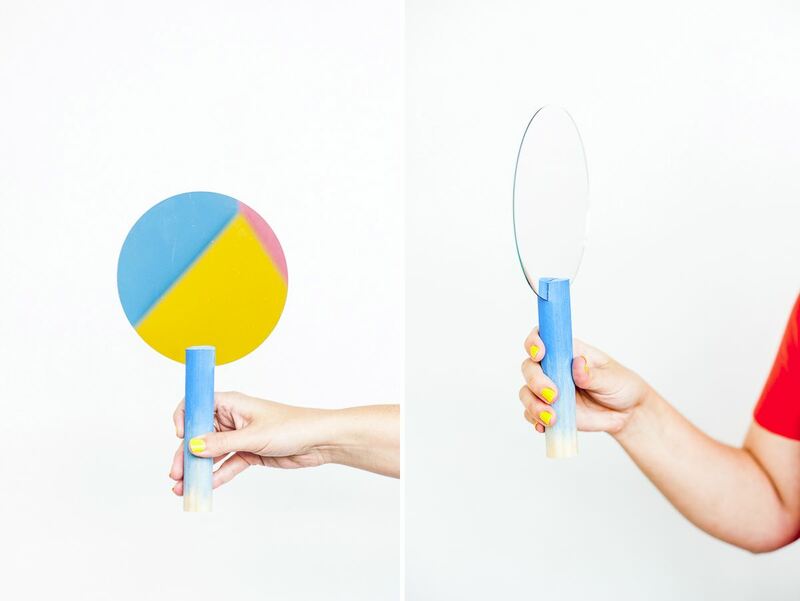 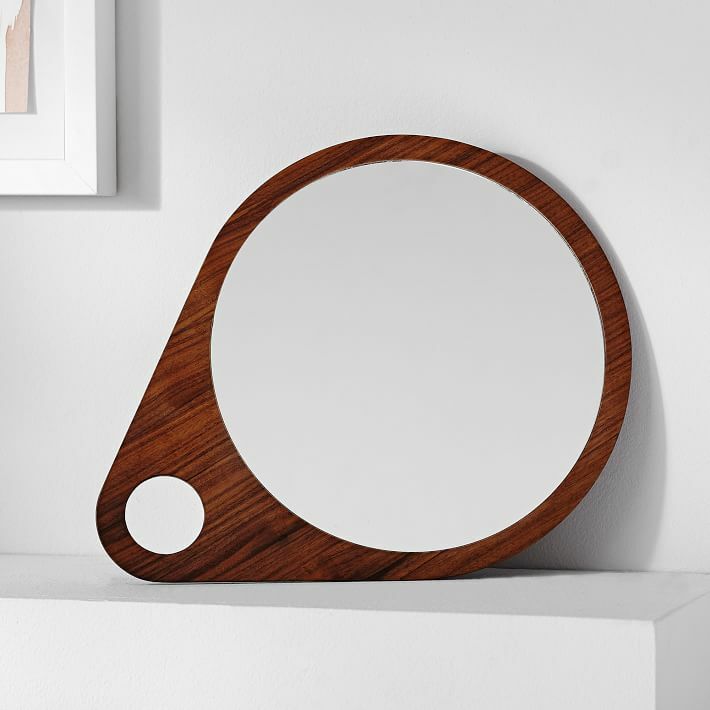 A wooden dowel is your friend for this modern DIY hand mirror project from Paper & Stitch. 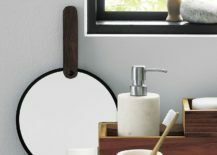 There is beauty in its simplicity, and an ombre effect on the handle adds an extra special touch! 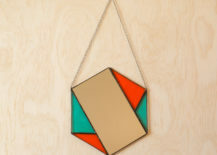 Metal and rubber merge to create color-blocked style in the Utility Mirror from Urban Outfitters. 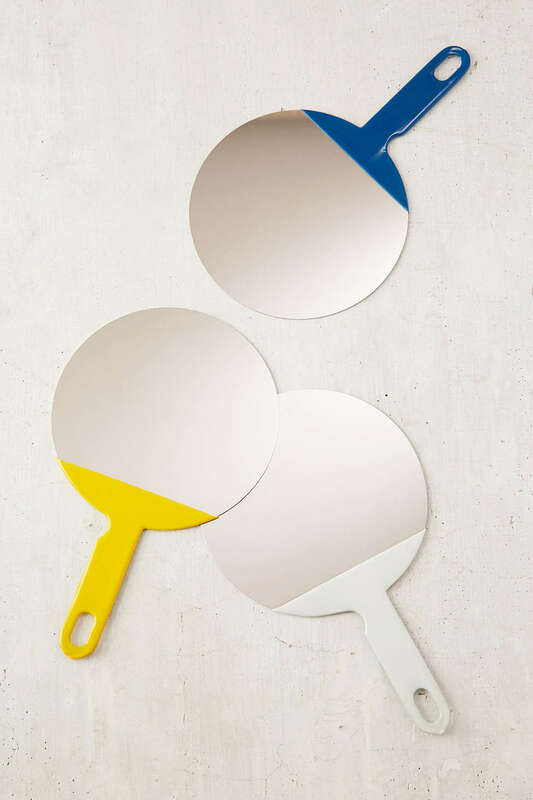 Dipped in rubber for a splash of color, the mirror is currently available in blue. 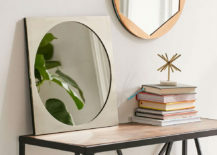 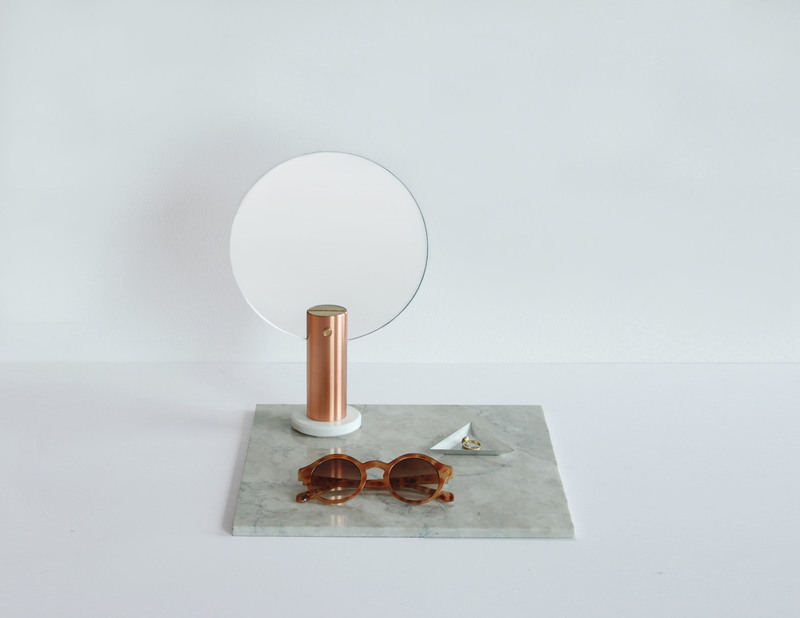 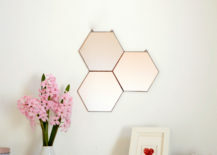 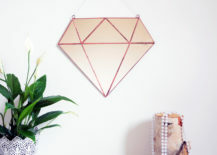 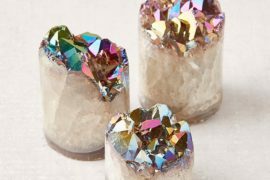 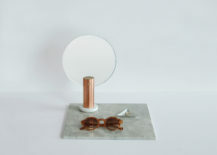 Online marketplace Etsy offers a range of interesting geo mirrors, and this Hexagon Mirror from Etsy shop Janel Foo Glassworks is available in two different color schemes. Bold meets vibrant! 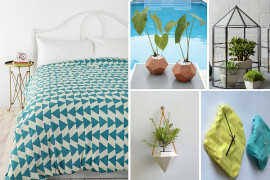 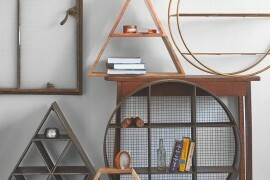 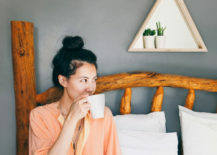 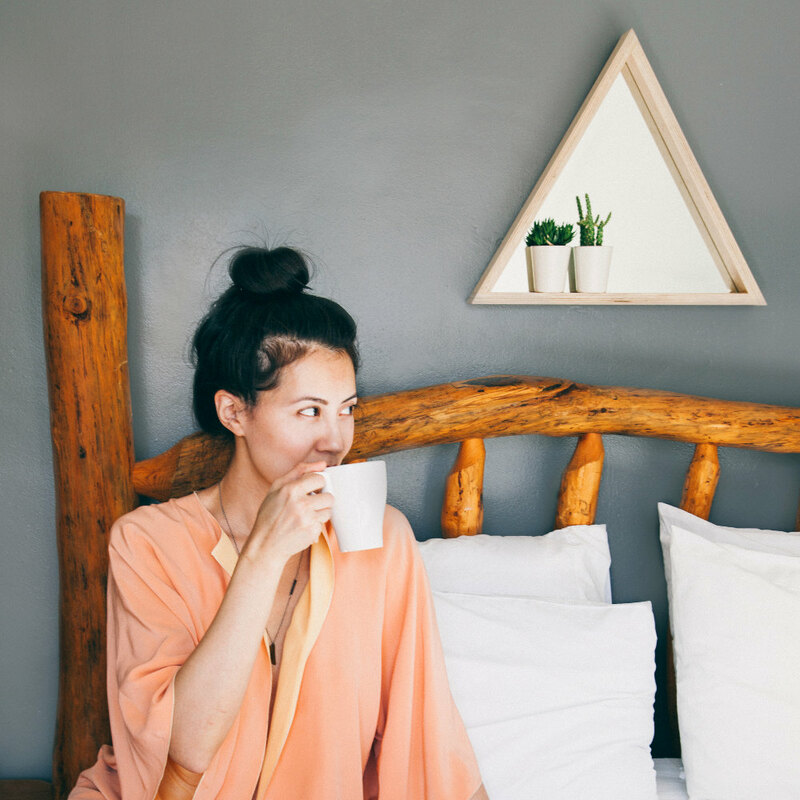 Made For Each Other also offers the triangle shelf with a barn wood frame. 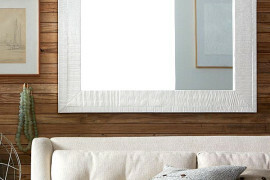 Century-old barn wood from the shop owner’s grandfather, to be exact! 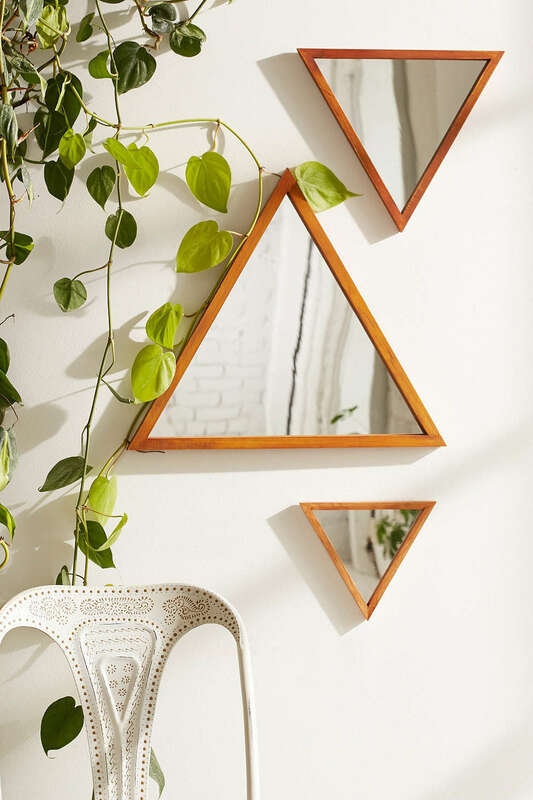 What do you get when you combine a wall mirror with a shelf? 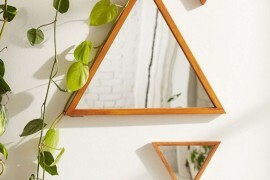 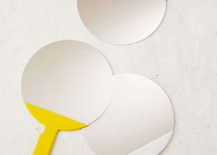 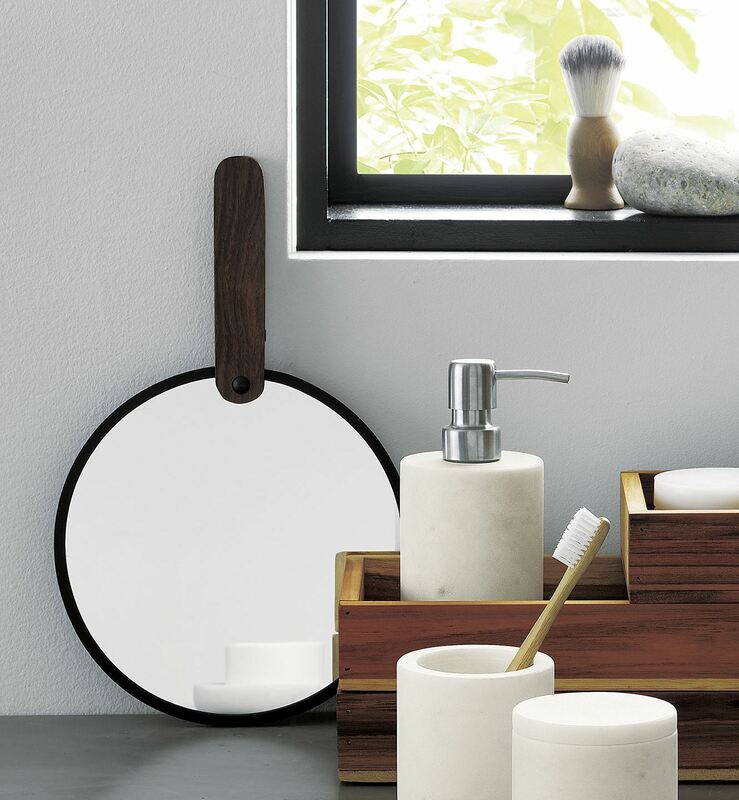 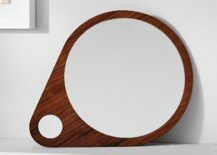 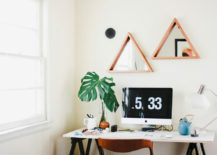 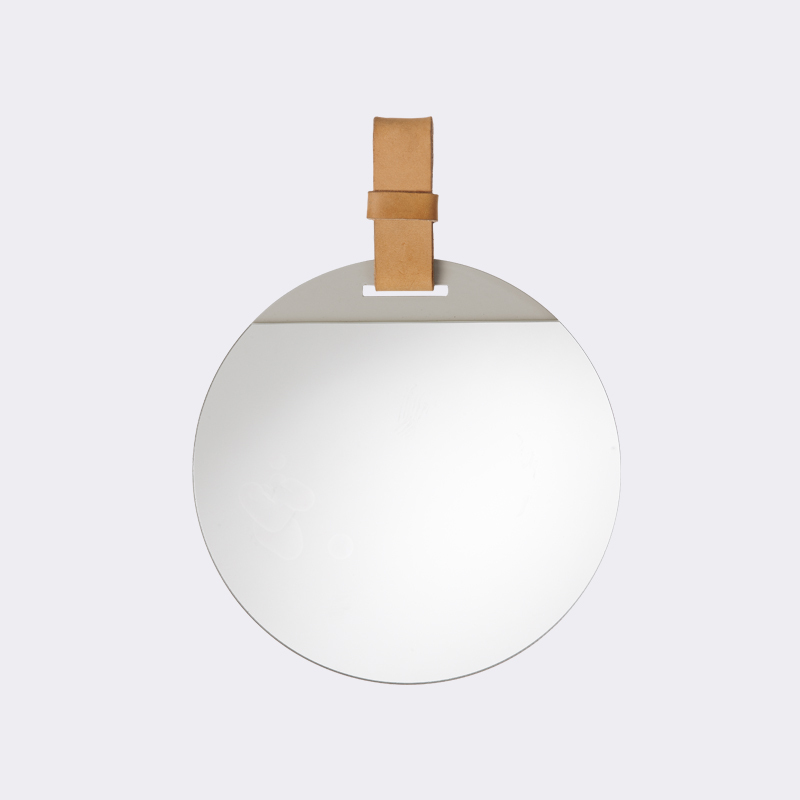 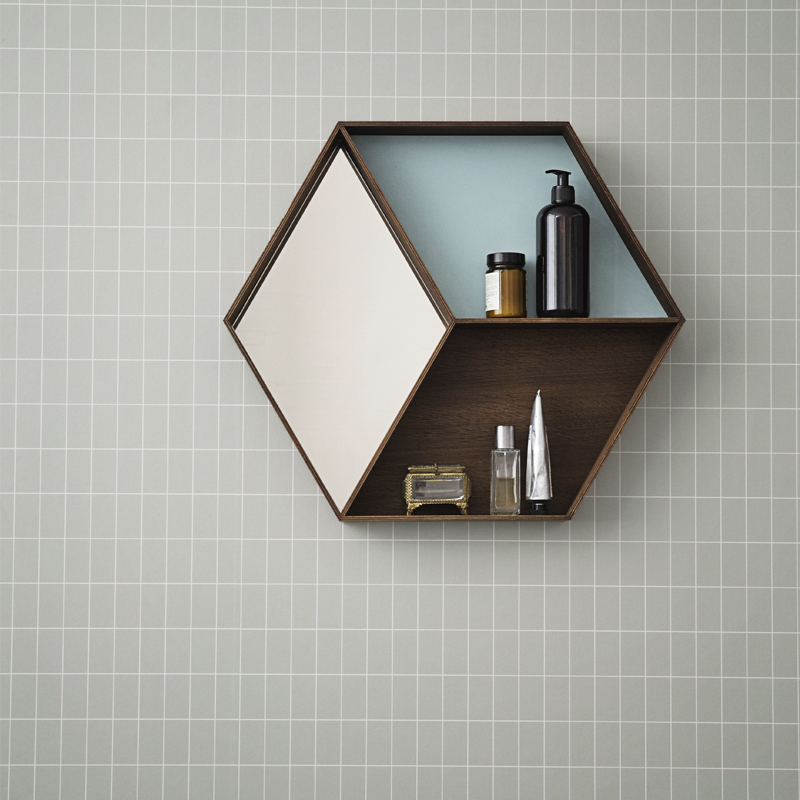 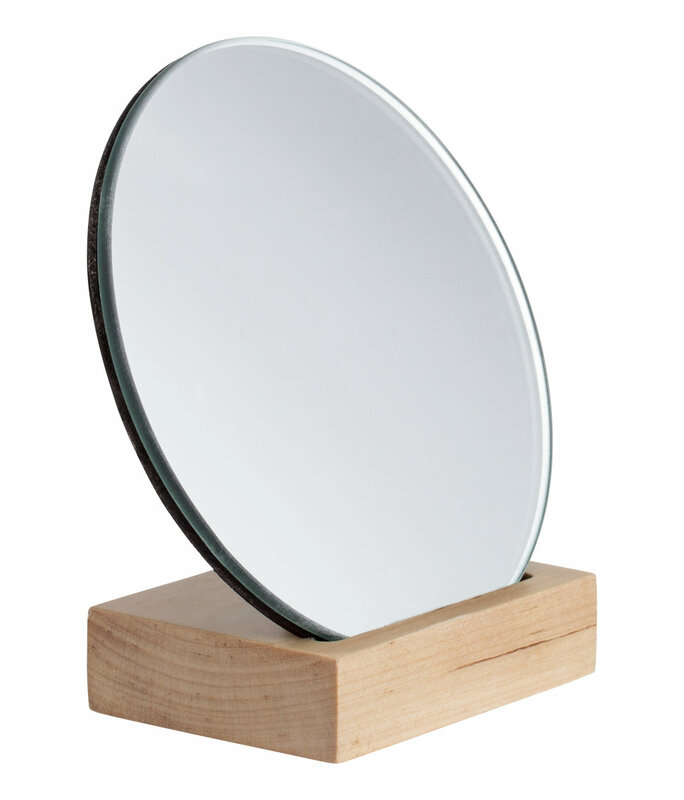 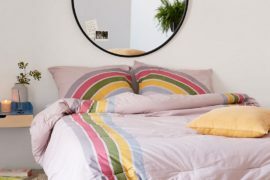 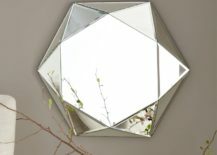 The Wall Wonder Mirror from ferm LIVING! 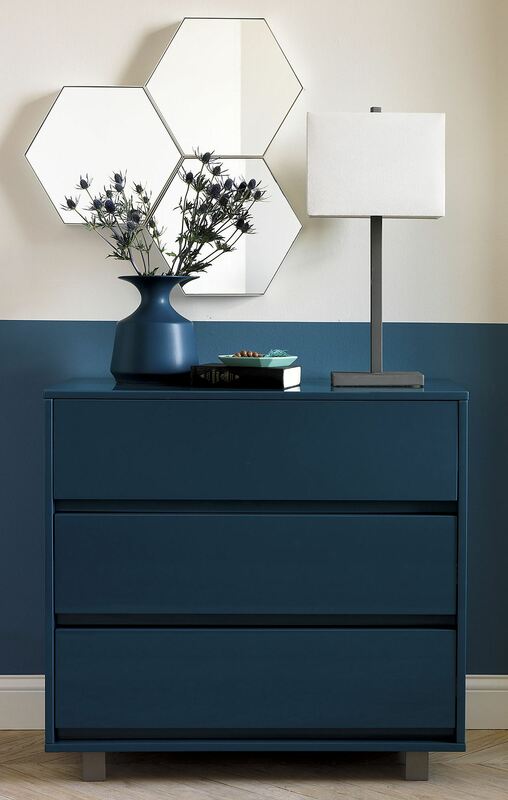 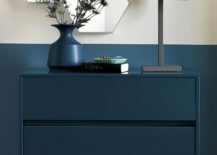 Made of smoked oak veneer and dusty blue laminate, the piece also incorporates a diamond design of mirrored glass, adding another layer of practicality and style. 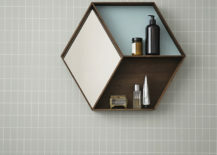 Note that the piece is also available in maple, without the blue laminate. 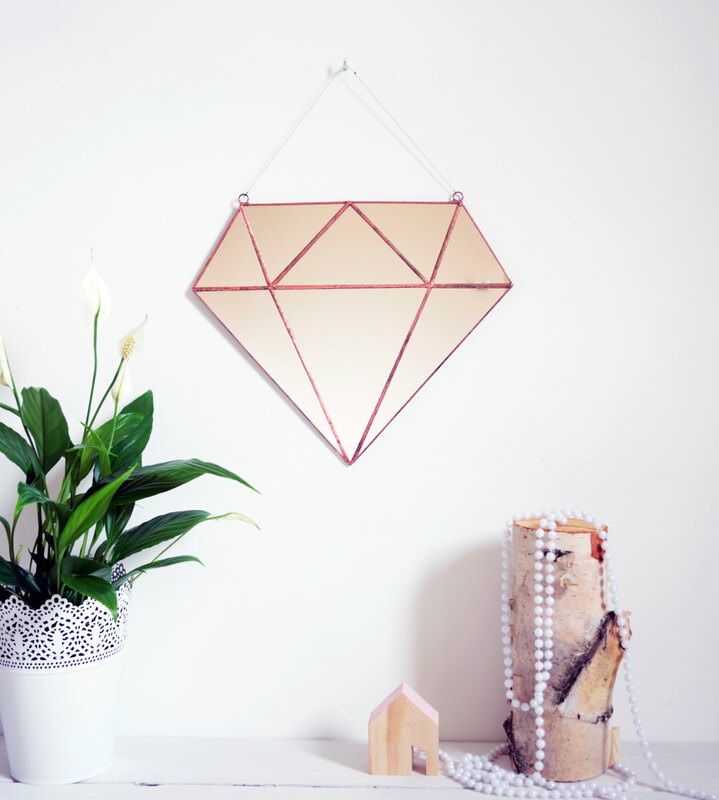 Will you be bringing home reflective geo style this season? 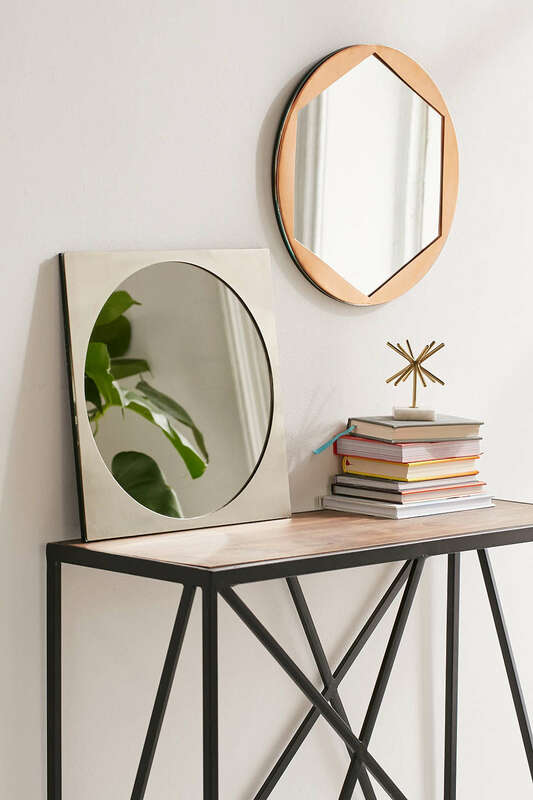 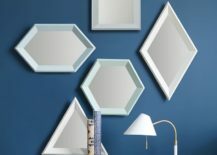 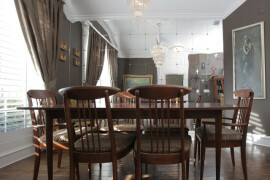 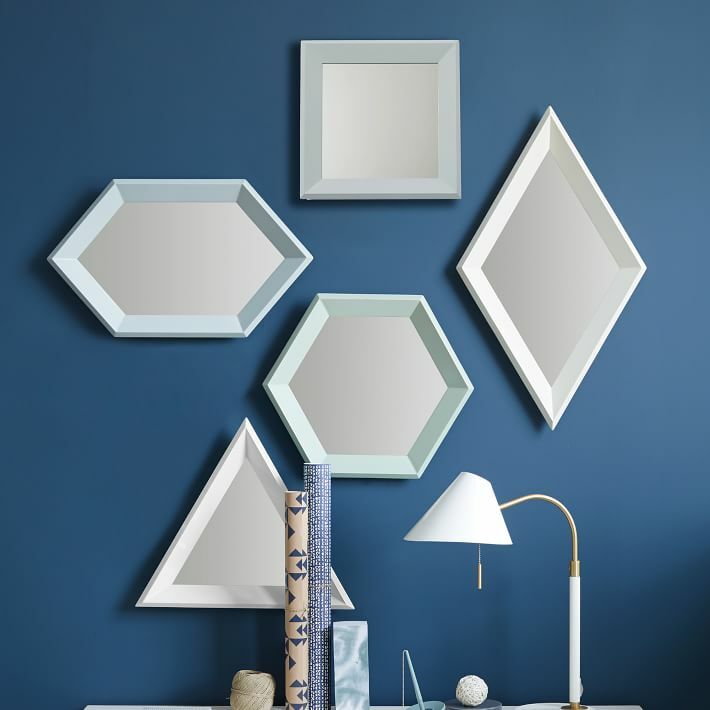 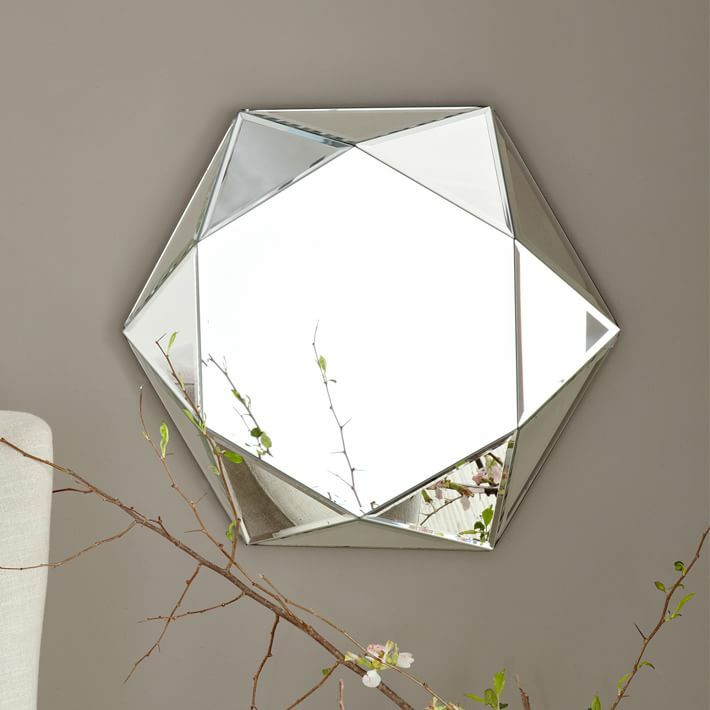 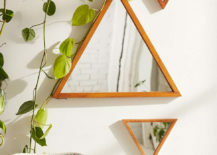 Geometric mirrors are an easy way to add shine to your interior while celebrating one of today’s biggest trends!